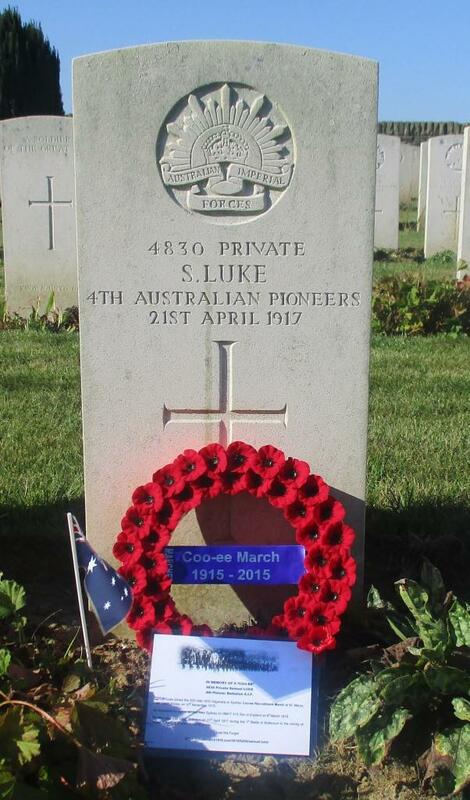 On the 16th February 1916 15 Coo-ees departed Sydney as 14th Reinforcement for the 13th Battalion aboard the HMAT A70 Ballarat. 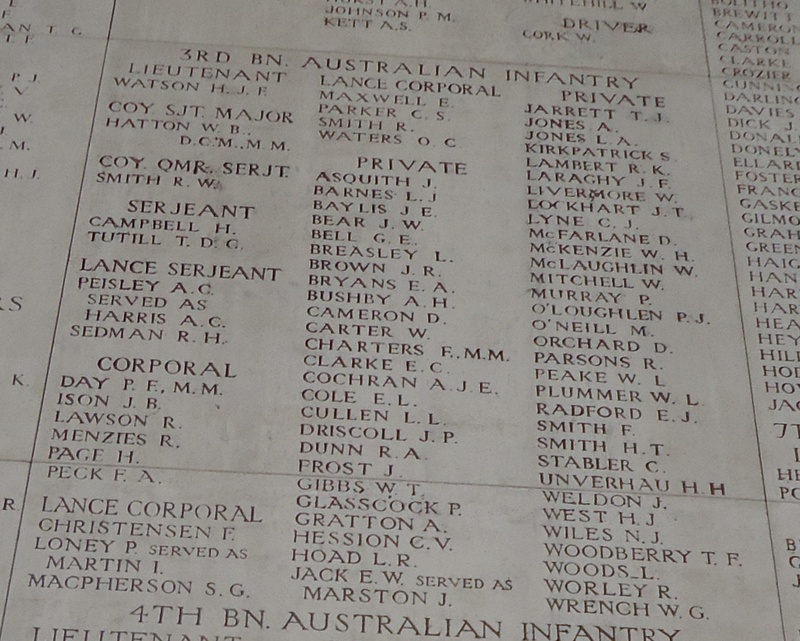 These men left Sydney before the bulk of the Coo-ees embarked from Sydney on the HMAT Star of England on the 8th March 1916. 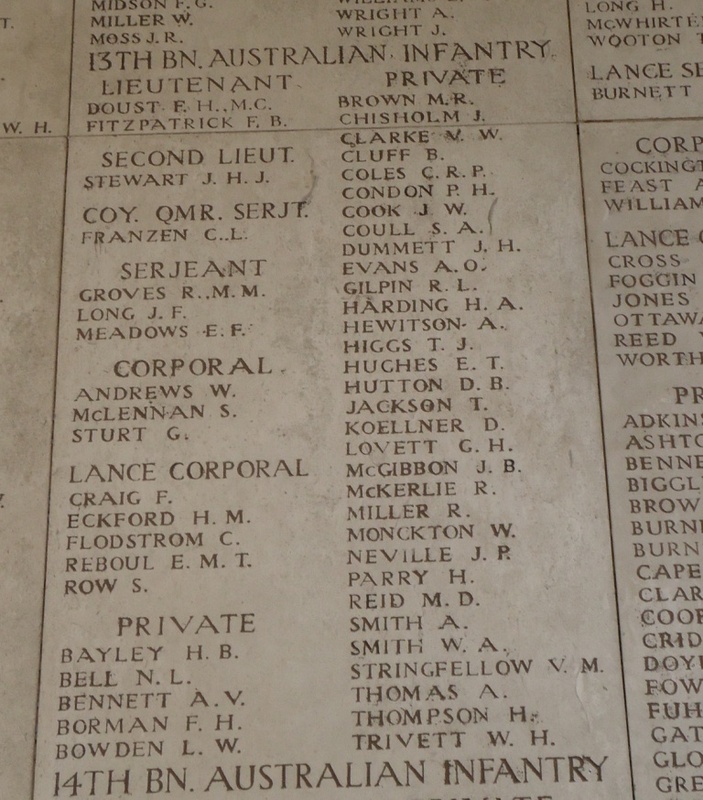 Upon the arrival of the HMAT A70 Ballarat in Egypt on the 22nd March 1916, these 15 Coo-ees were transferred to the 54th Battalion. 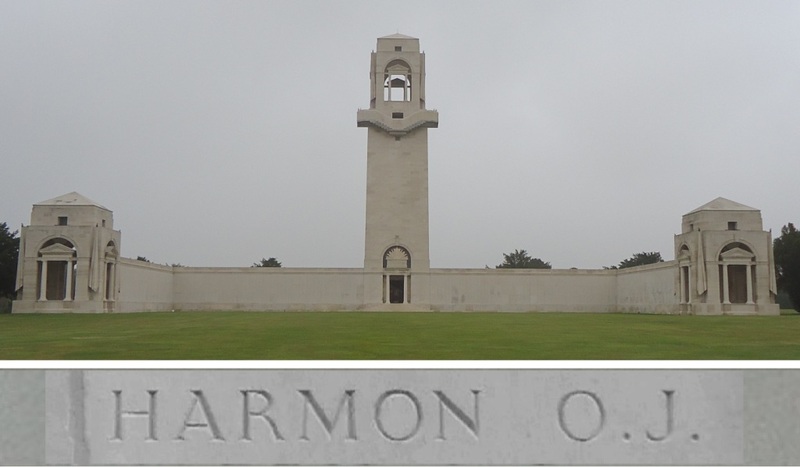 Two of them (Percy George Brown and John William Thompson) fell ill and was hospitalised, but the other 13 departed for France on 19th June 1916 aboard the HT Caledonian, arriving at Marseilles on 29th June 1916. 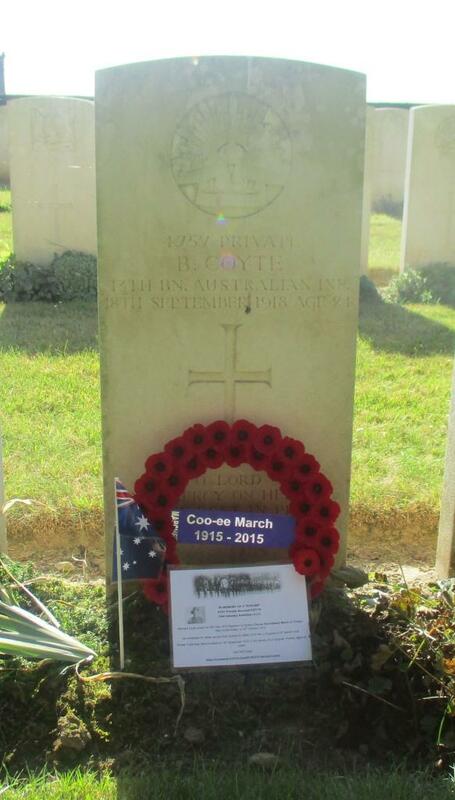 After their arrival in France another Coo-ee fell ill (John Martin) and was hospitalised in England. Two others (John Tarlington and Colin David Wren) transferred to the 4th Pioneer Battalion, and another (Eugene Norris) to the 57th Battalion, with nine Coo-ees remaining with the 54th Battalion. 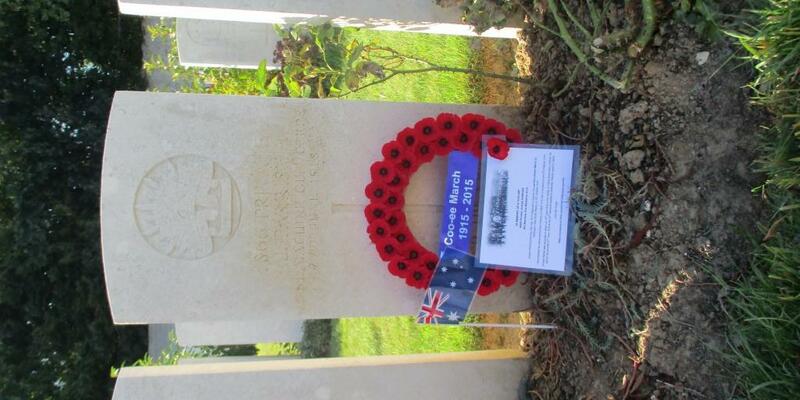 The 54th Battalion was one of the four battalions that comprised the 14th Brigade, and the 57th Battalion was one of the four Battalions of the 15th Brigade. 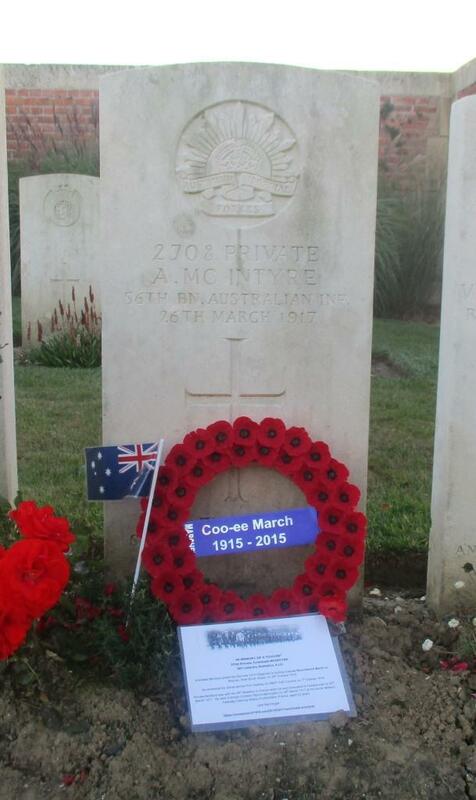 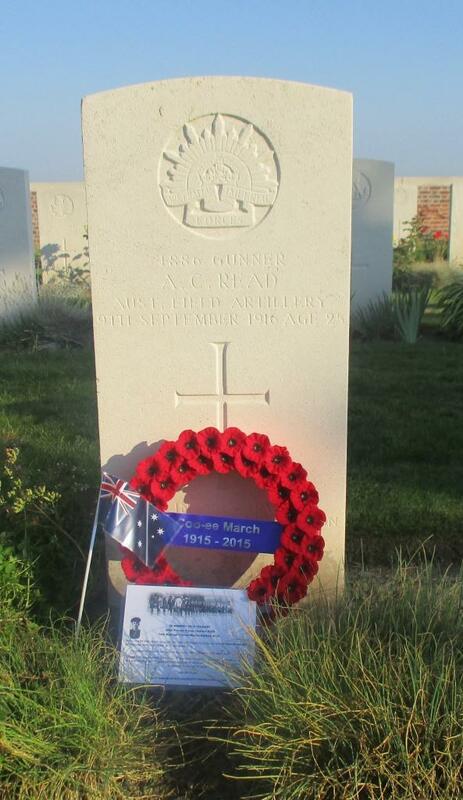 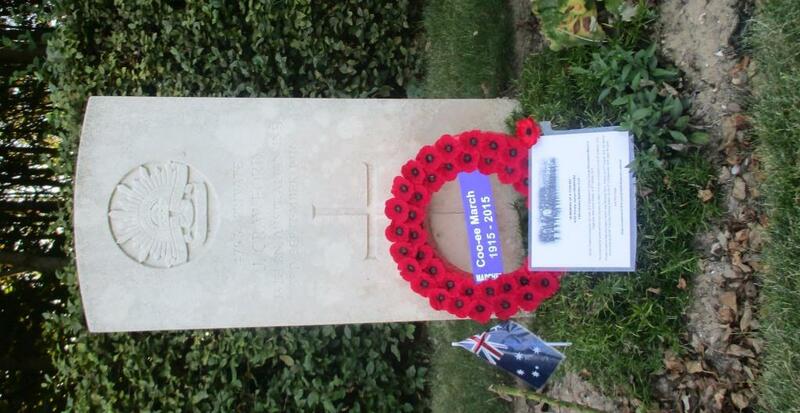 Both Brigades were part of the 5th Australian Division that fought in the Battle of Fromelles. 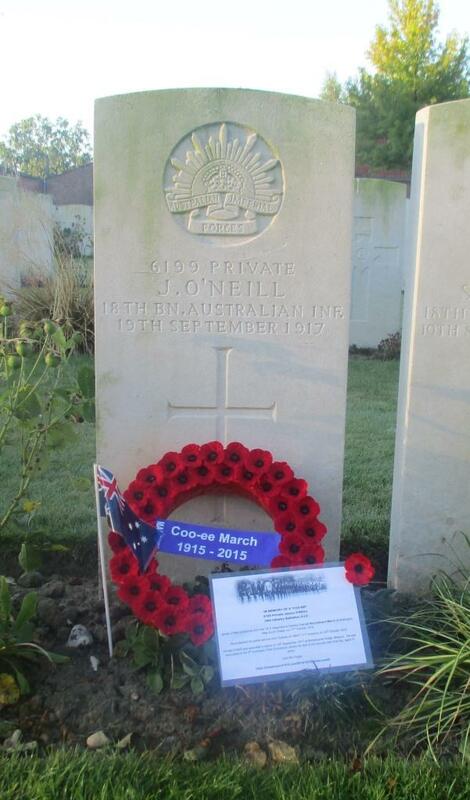 The Battle of Fromelles on the 19th July 1916 was the first major battle to be fought by Australian troops on the Western Front, and the 54th Battalion suffered heavy casualties. 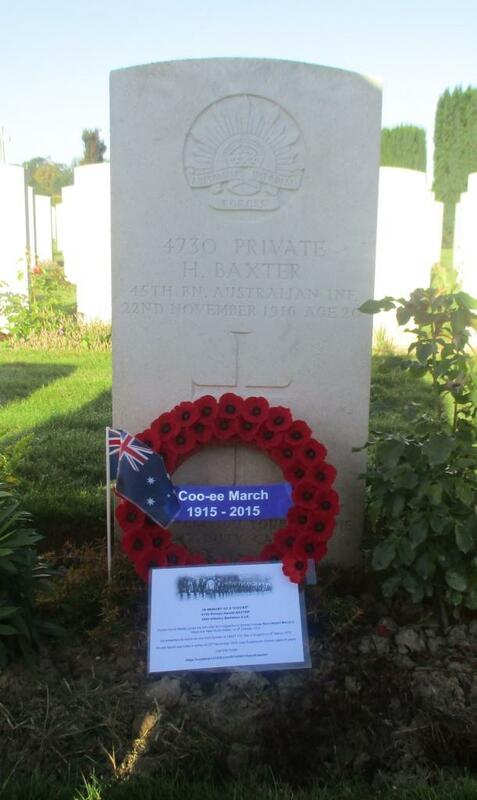 The 57th Battalion was in reserve during that initial assault, and the Coo-ee in that Battalion was not injured. 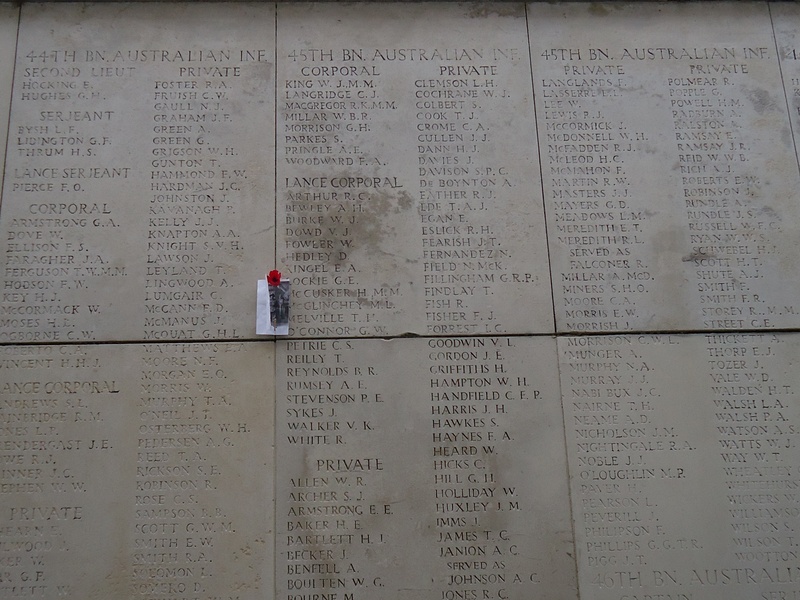 According to the Australian War Memorial (https://www.awm.gov.au/wartime/36/article.asp), the Battle of Fromelles was a disaster, and the ‘worst 24 hours in Australian history’, with 5,533 Australian casualties in one night, which was ‘equivalent to the total Australian casualties in the Boer War, Korean War and Vietnam War put together’. The attack commenced at 6 pm on 19th July 1916, and was over by 8 am on the 20th July. 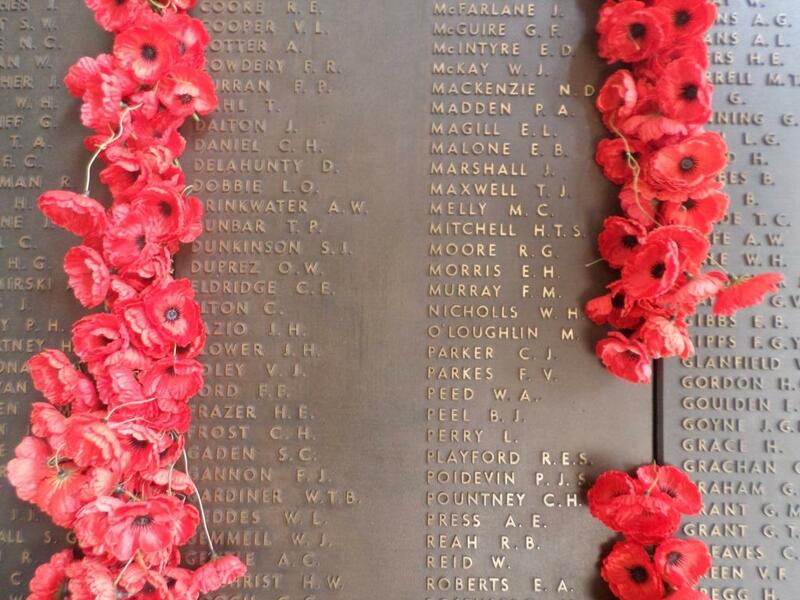 Of the nine Coo-ees in the 54th Battalion at Fromelles, 42 year old Charles William Gordon Conroy (who joined the Coo-ees at Orange), and 19 year old Joseph Patrick Wallis (Wailes) (who joined the Coo-es at Dubbo) were both killed in action during the Battle of Fromelles, on 19th/20th July 1916. 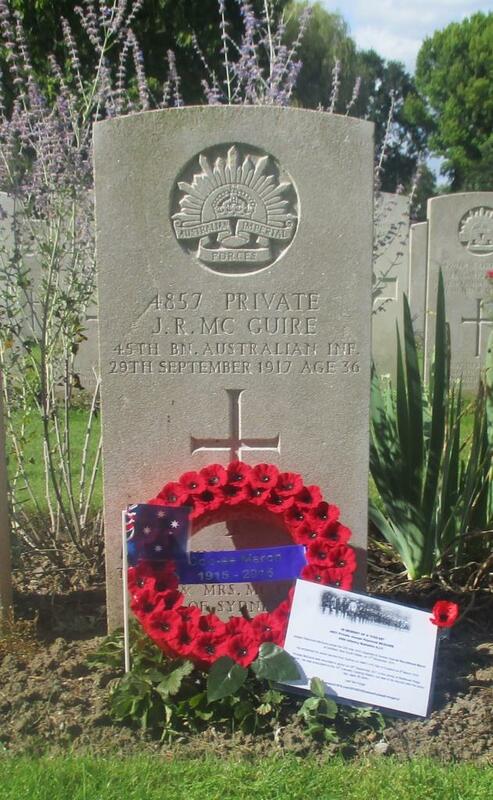 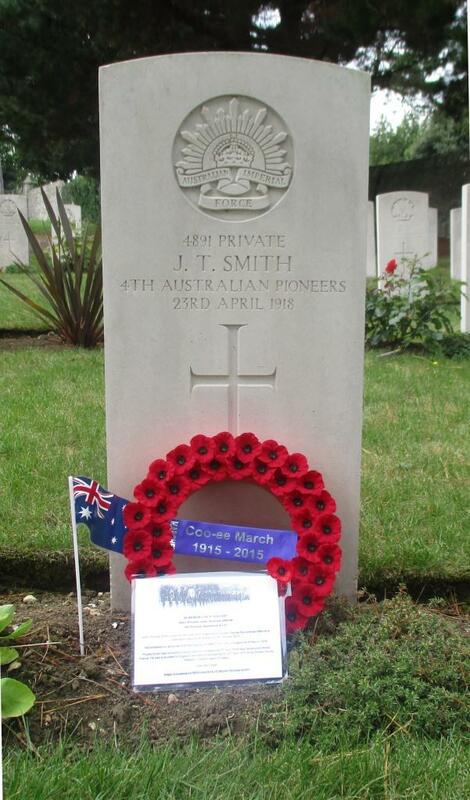 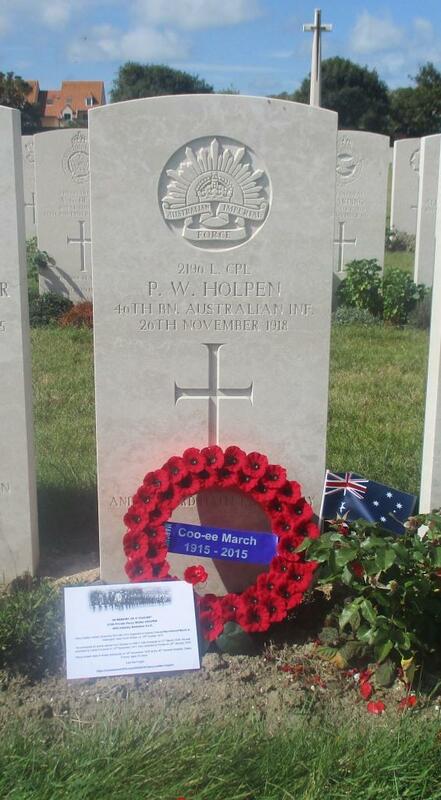 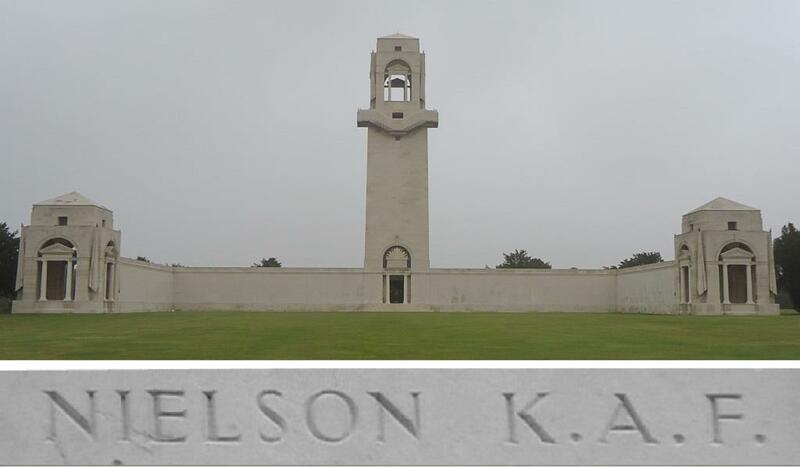 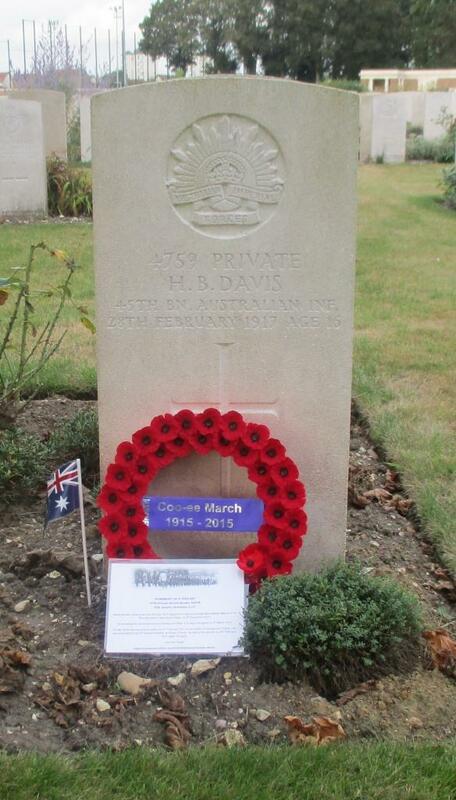 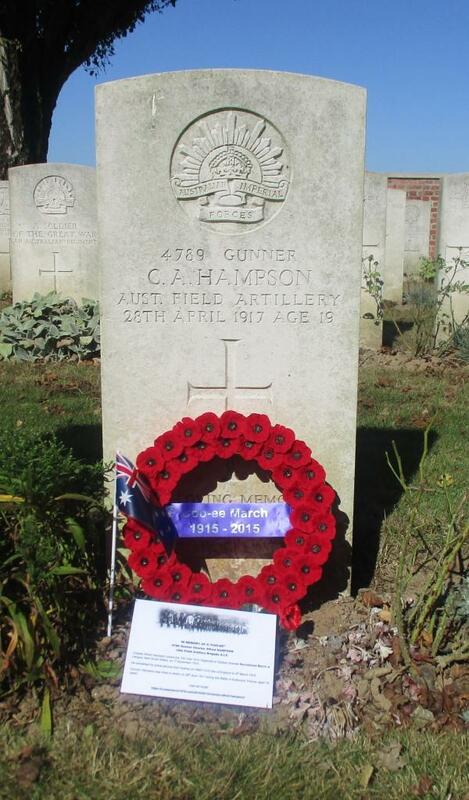 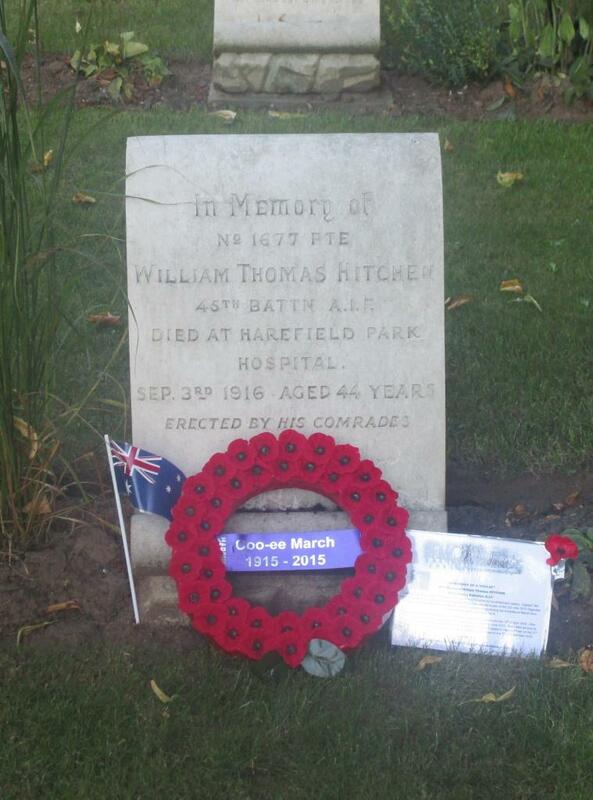 They were both listed with no known grave, and their names were commemorated at the V.C. 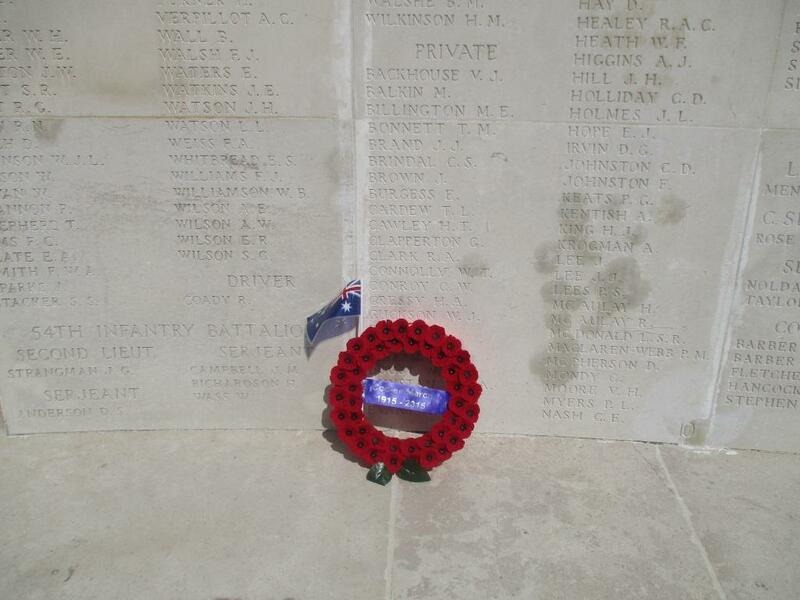 Corner Australian Cemetery and Memorial at Fromelles, France. 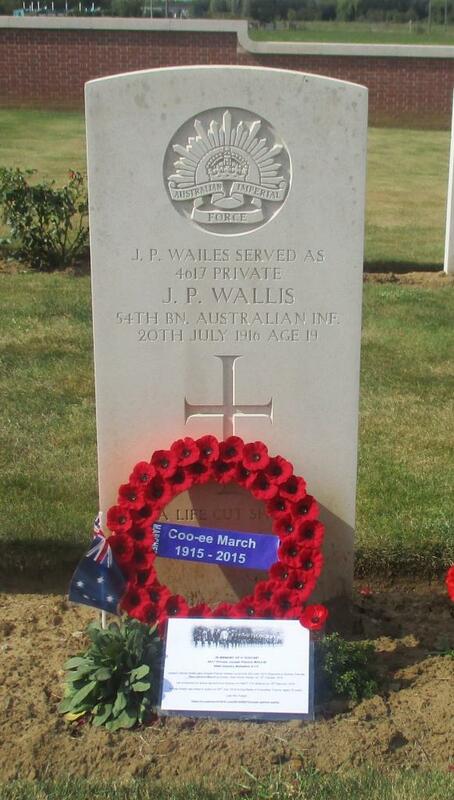 The body of Joseph Wallis was identified in 2010, and he was reinterred in the Fromelles (Pheasant Wood) Military Cemetery in France. 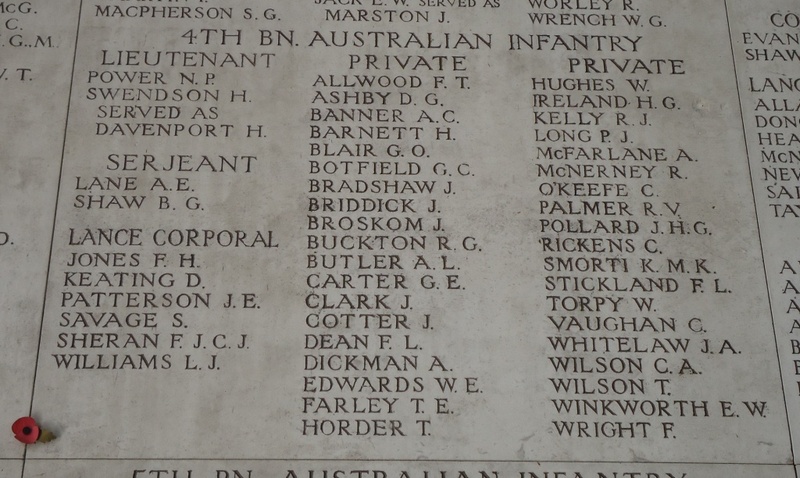 Henry Blakeman (Lithgow), James Dawson (Lithgow), John Fox (Bathurst) and William Walker (Molong) were wounded at the Battle of Fromelles. Joseph Armstrong (who joined the Coo-ees at Dubbo) and Donald Stewart, one of the youngest of the Coo-ees, (who joined at Wellington), were captured, and spent the rest of the First World War as prisoners of war. 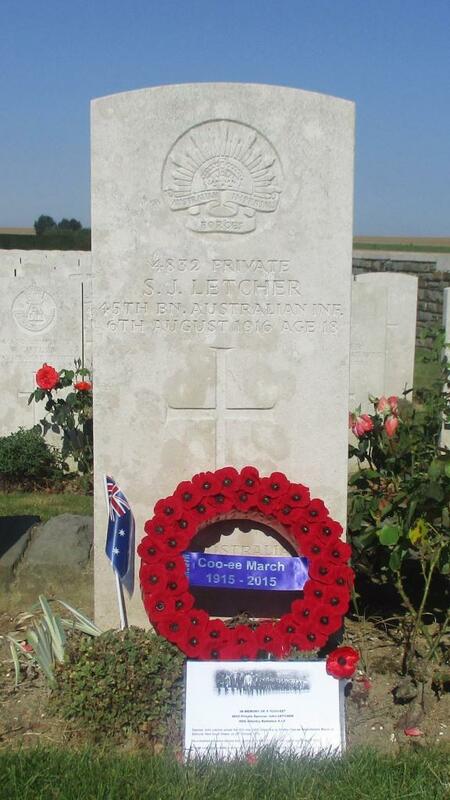 Only one of the nine Coo-ees in the 54th Battalion (Edwin Fuller from Orange) survived the Battle of Fromelles unscathed. 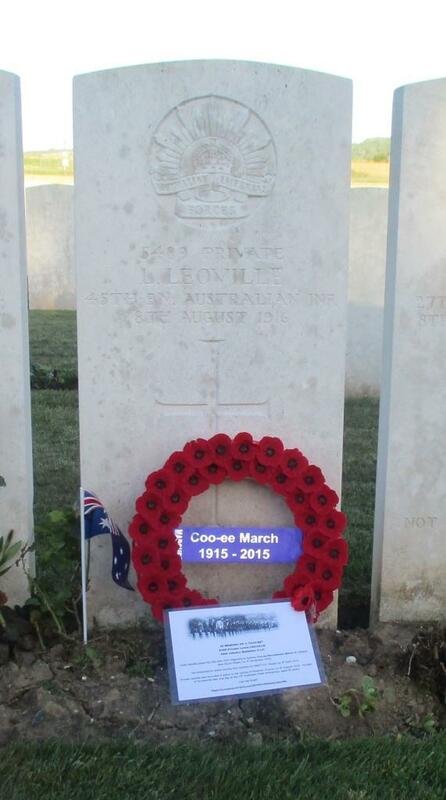 However, Thomas Thorne, (who joined the Coo-ees at Lawson), was the first of the Coo-ees to die while on active service overseas. 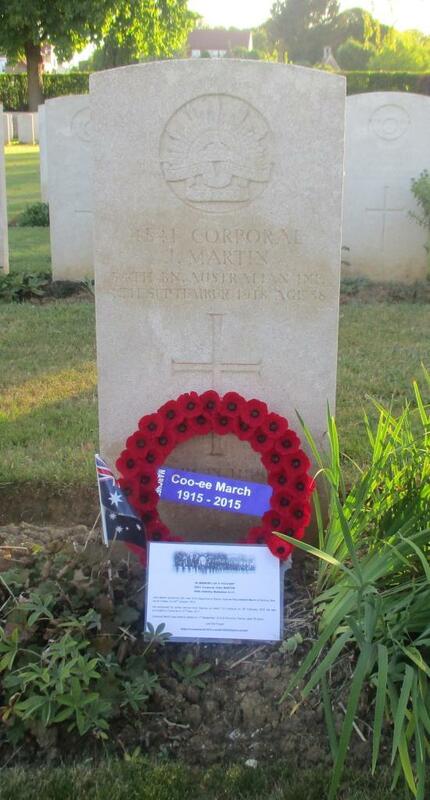 He embarked from Sydney on the HMAT Star of England on 8th March 1916, and had arrived in Egypt on the 11th April 1916. 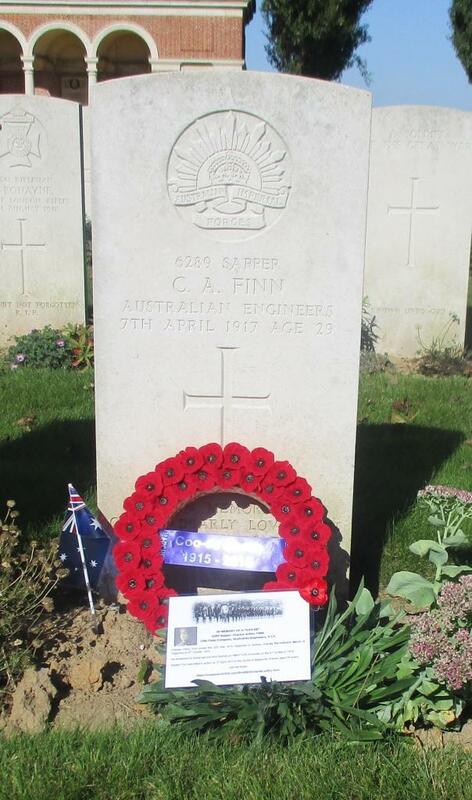 Acting Sergeant Thomas Thorne became ill while on a transport ship taking him from Egypt to England, and he was admitted to Devonport Military Hospital on 16th June 1916. 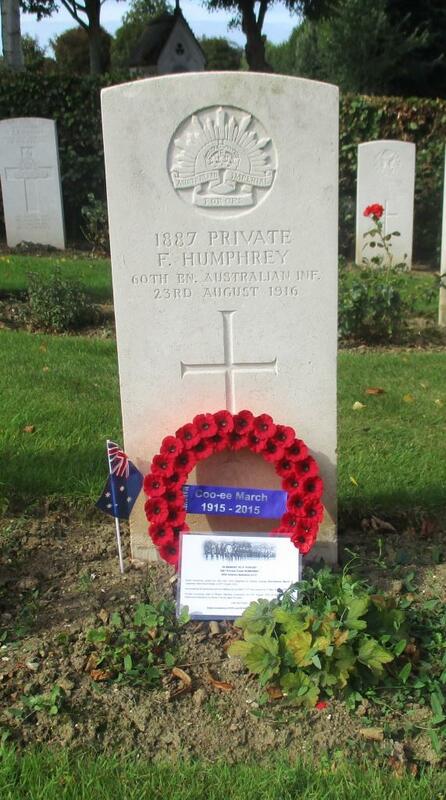 He died of illness two days later of Pneumonia on 18th June 1916 (aged 23), having not seen any active service. 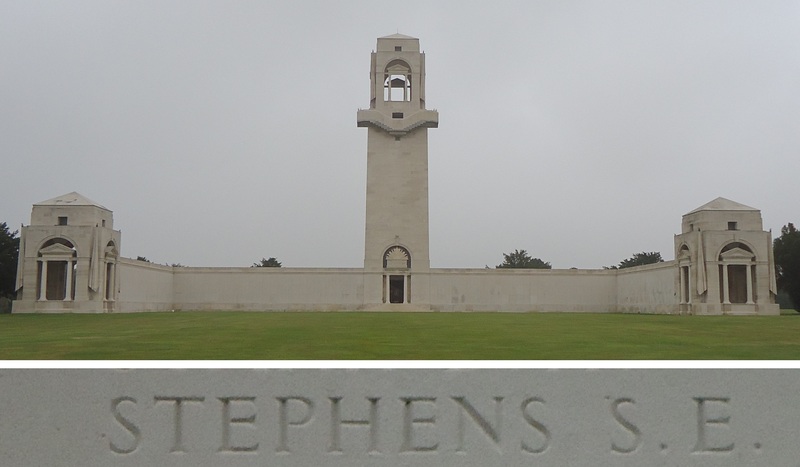 Note: I wish to acknowledge the research assistance of Stephen Thompson in writing this article. 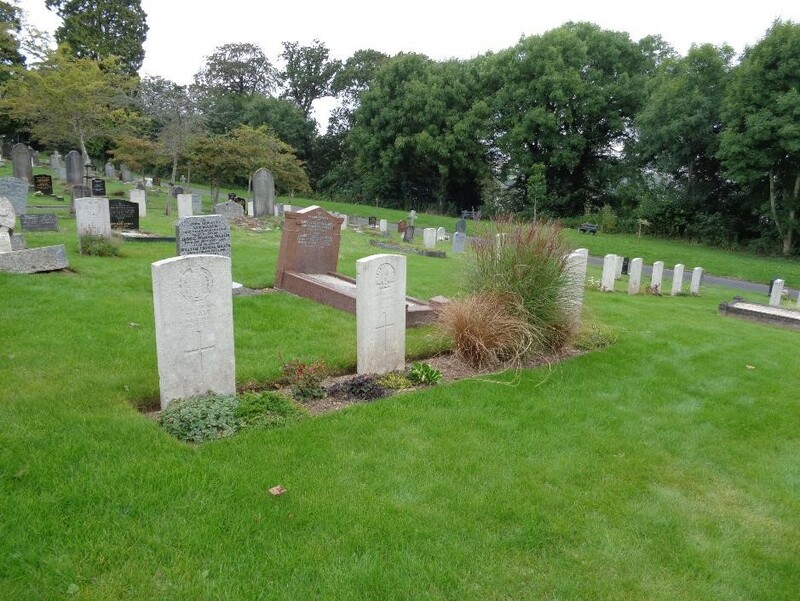 On Sunday 24th August 2014 we visited the Plymouth (Efford) Cemetery in Plymouth, Devon, England. According to the Commonwealth War Graves Commission website http://www.cwgc.org/, Plymouth (Efford) Cemetery contains 338 graves from the First World War, scattered in the general cemetery. 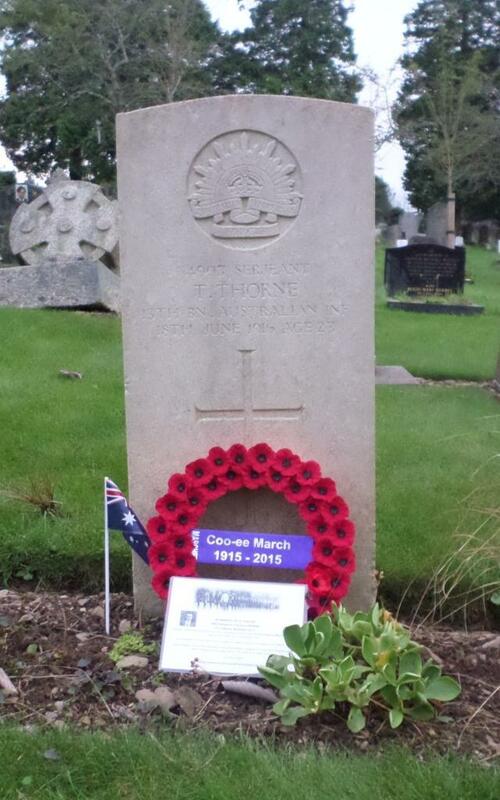 Thomas Thorne (from Lawson), who died from illness, is the only Coo-ee buried in this cemetery. 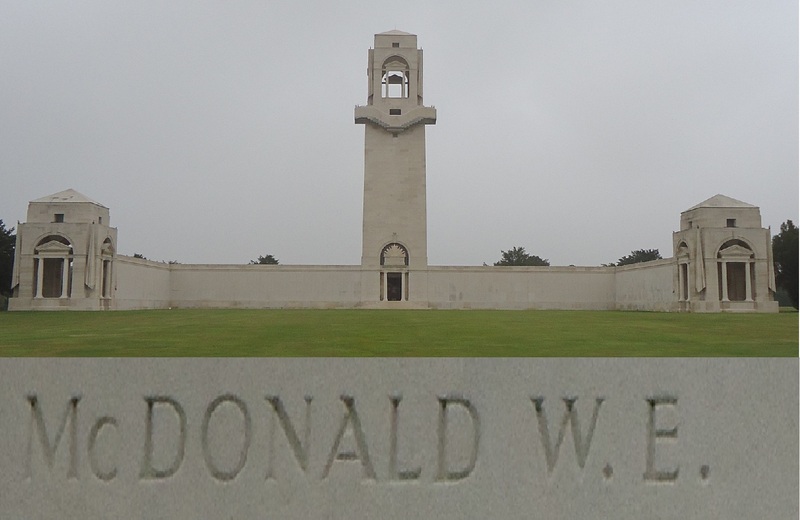 As this is a large cemetery, it is difficult to locate his grave. 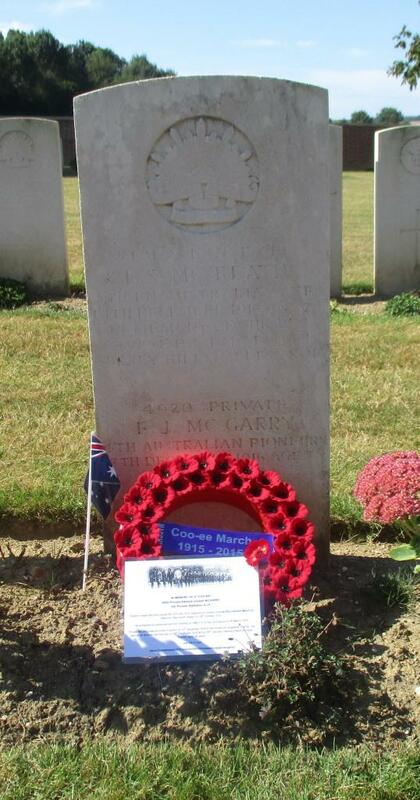 However, we remembered where Thomas Thorne’s grave was located (on the northern side of the cemetery near the crematorium) from our previous visit to the cemetery two years ago. 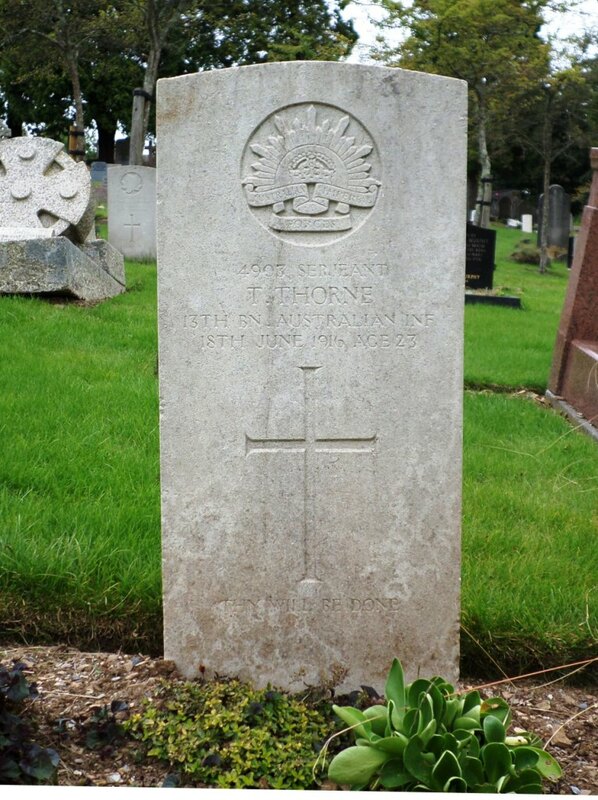 A photograph of the headstone on Thomas Thorne’s grave will be added to his individual blog entry, and form part of a Roll of Honour for the fallen Coo-ees on this blog, after our return to Australia.